The Berlin-based Semer Ensemble brings the musicians of 1930s Berlin back to life after years of silence. Their music opens a time tunnel between 1920s Berlin and today. 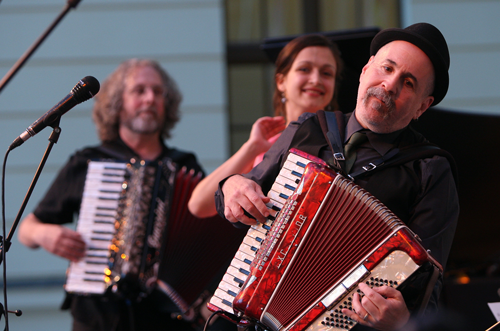 New Jewish Music Berlin cabaret, Russian folk songs, Yiddish theater hits, operatic arias, and cantorial music are just a small sample of the group’s remarkable repertoire. Tickets are $18 for General Admission, $10 for Students (must present a valid student ID when claiming tickets at the door), and free for Survivors. Some tickets may be available at the door, for $20 (General Admission) and $12 (Students). We cannot guarantee how many tickets will be available at the door, please reverse your seat today!